Start with a 1 quart smooth Ball jar. I found these at AC Moore Crafts store or at Hardware stores. 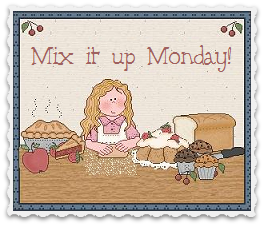 Pack it all down in layers (if there’s space I’d add more chips or M&M’s if you have them). 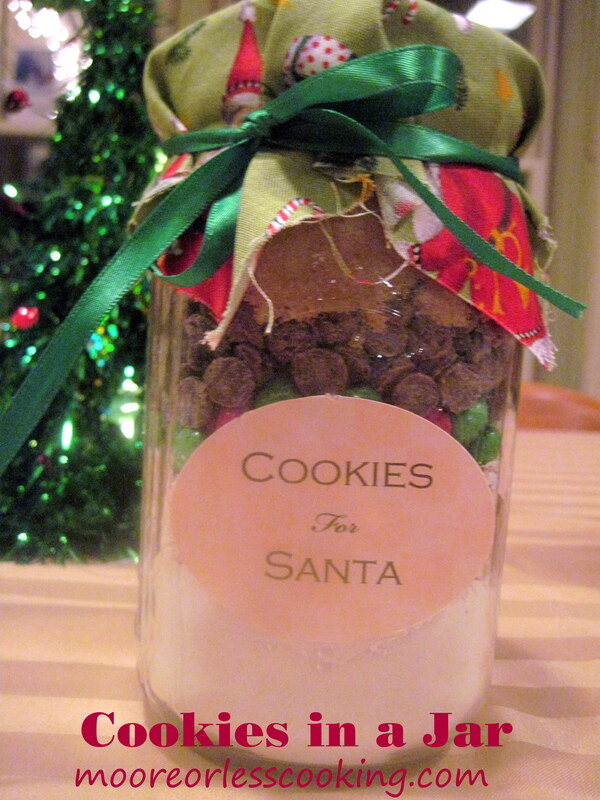 To decorate the jars, you will need some Christmas fabric and ribbon. Cut the fabric into 6 inch squares and the ribbon into 25 inch pieces. Place the fabric on top and tie ribbons around the lid to hold it in place. Once it’s all combined, roll into balls about 1 tbsp each, leaving room for spacing, and bake on baking paper covered trays at 350 degrees F for about 10 mins. or until golden brown. I needed 2 cookie sheets because one jar made about 26-28 cookies. You can change the color of the M & M’s and fabric and ribbon and make these for other holidays, such as Halloween ( orange and black) or Valentine’s Day ( pink and red). 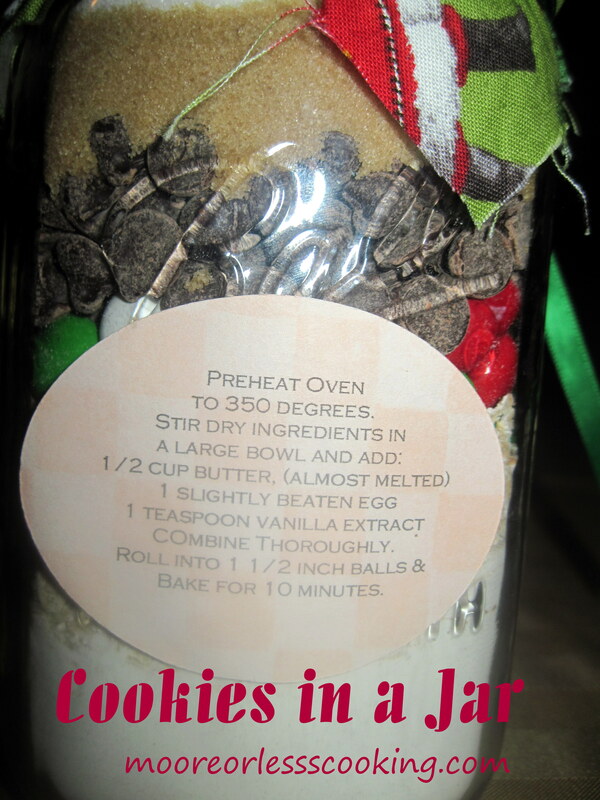 I can’t think of a better Christmas gift idea than cookies in a jar! YUM! What a fantastic idea, Nettie! I love this!